STEPCRAFT FOR EDUCATION | Stepcraft, Inc. In today`s unique and complex production world it is unthinkable to operate machines without the help of computers. Without this CNC technique modern future scenarios according to the current trend of automation and data exchange in manufacturing technologies, the latest stage in organization and controlling of the entire value chain, are not realizable at all. 15 years ago, this product technology was reserved only for innovative branches, such as automobile and aerospace technology, while today nearly everybody can produce individual products fast and precisely on a CNC machine. The familiarization with the CNC technique is mostly due to the teacher’s own initiative. Up to now, it consisted of a time-consuming research of the subjects CAD, CAM and CNC and was followed by the selection and learning of the required software as well the choice of a suitable CNC machine. This should not only qualify for classroom usage but should at best also offer a multitude of possible applications. With The CAD, CAM & CNC Workbook, Fusion 360 from Autodesk and the multifunctional STEPCRAFT CNC Systems, STEPCRAFT provides a holistic concept from the idea to its realization. Thus it is not only cost-efficient but reduces the investment of time to a minimum as well. To keep up with the challenging demands and technical innovations in the world, today’s students benefit greatly from problem-based learning (PBL) and STEM/STEAM (Science, Technology, Engineering, Arts, and Math). Building these skills are all about recognizing a need (identifying a problem), creating a solution, prototyping, testing, redesigning as well as making use of life skills such as working in groups, collaborating with others and documenting procedures and solutions. Our new CAD, CAM & CNC Workbook give educators the tools that they need to teach students how to design an interesting and functional project, create the CAM tool paths and manufacturer the project on the STEPCRAFT CNC System in a very defined and easy to learn way. Keeping students interested and engaged is always a challenge. This new workbook shortens the learning process to keep students engaged allowing them to hold a finished product in their hands in just a few short days. STEM/STEAM curriculums around the world are designed to teach students how to become effective problem solvers using modern manufacturing tools. This creates learning opportunities for a wide-variety of skills that cross over into all areas of study and develop life skills that create successful students as they enter the workforce. STEPCRAFT has CNC systems in elementary, secondary and high schools as well as countless universities all around the world. K-12 schools are using our machines for robotics, manufacturing, arts, wood shop, electronic and other technical classes. Many vocational training schools are using the CNC to train students how to be apply the technology and become successful in the workforce. Universities are using STEPCRAFT CNC Systems as the basis for research projects, product development and instruction on modern manufacturing applications and processes. UCCNC is software designed to make the interaction with your machine as easy as possible. Thus, the G-Code processing program has not only been optimized specifically for STEPCRAFT Desktop CNC Systems, its interface also allows an intuitive operation of the software. The data exchange is ensured via a conventional USB interface of the computer or via a network interface. The easy operation, the graphic presentation with simulation and the complete customizability are only a few of the software’s features. Additionally to the English version, UCCNC is also exclusively available at STEPCRAFT in German. 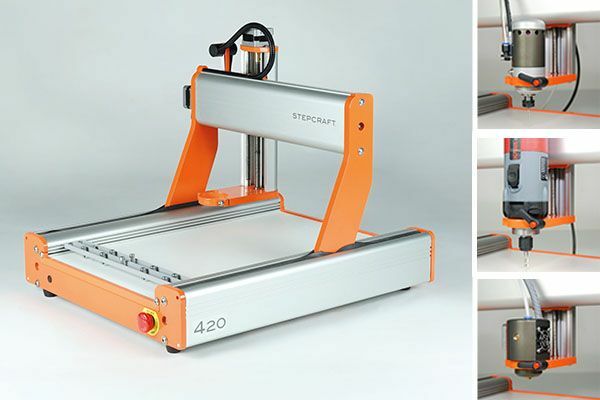 The compact and multifunctional STEPCRAFT CNC Systems were constructed for the application in the private and small business sector as well as in educational institutions. They are available in five different sizes and do not only offer a good overview of the functioning of CNC machines, they can also be operated with a multitude of tools. Thus, for example, the HF Spindle can be mounted for milling purposes, the Drag Knife for vinyl cutting, the Laser for engraving and cutting, the 3D Print Head, the Hot Wire Cutter or the Engraving Point. As safety is always a top priority, STEPCRAFT developed an enclosure that stops immediately when its doors are being opened during operation. Additionally, it protects the classroom from dust, dirt and noise. In order to support the teacher optimally, STEPCRAFT also offers optional inhouse and online trainings. Autodesk is one of the global leaders in 3D design and engineering and software and cooperation partner of STEPCRAFT. Companies in the fields of mechanical engineering, architecture and construction as well as media and entertainment use Autodesk solutions to create, visualize and simulate their ideas. With Fusion 360 , Autodesk addresses hobbyists, makers, start-up companies, educational institutions, and students for whom the company offers this software free of charge. A powerful CAD/ CAM software is virtually indispensable when designing and adjusting 2D and 3D constructions that shall be produced subsequently. For this purpose, CAM functions have been customized and optimized especially for STEPCRAFT CNC Systems. Additionally, Autodesk not only offers free webinars and tutorials but has a huge online community as well. With Fusion 360™, Autodesk provides the first 3D CAD / CAM tool encompassing the entire process of product development in a cloud-based solution. The CAD, CAM & CNC Workbook is a modularly structured textbook addressing the self-educated and teachers for the lower and upper secondary level of education. It contains all basics necessary for computer-aided construction and manufacturing. Starting with the emergence and importance of the CNC technique to basic knowledge regarding the functioning of CAD, CAM and machine control software to the in detail introduction to corresponding programs, The CAD, CAM & CNC Workbook describes and explains the entire way from the idea to the manufactured workpiece. 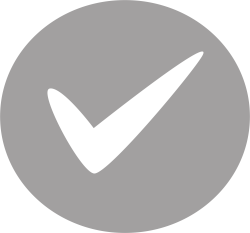 Due to tangible feelings of success, the integrated practical and project examples, including the respective solution files, ensure a lasting learning effect. Additionally, pre-formulated questions of understanding can be found in the Q & A sections at the end of each module. Beyond that, The CAD, CAM & CNC Workbook is designed in a modern and attractive way in order to further support the learning process.